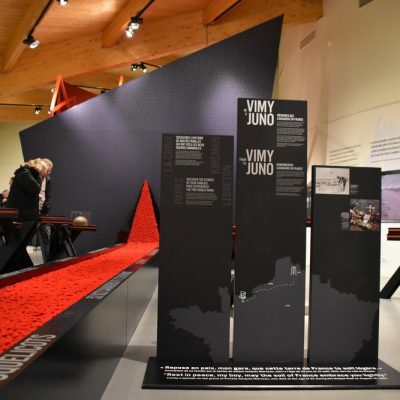 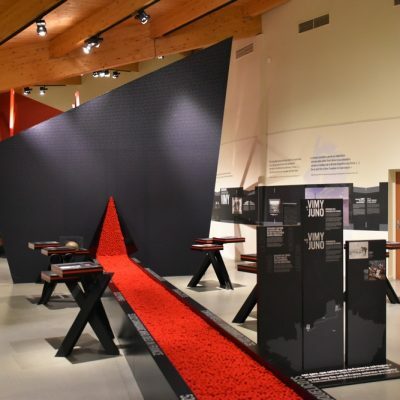 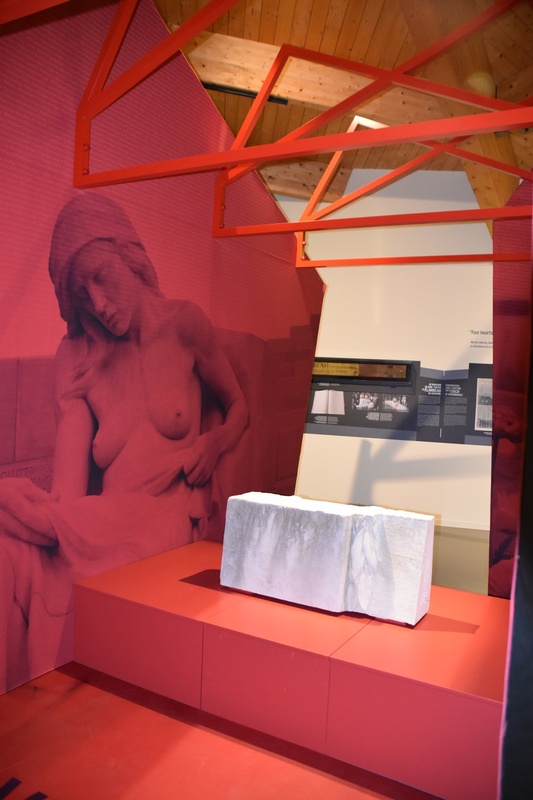 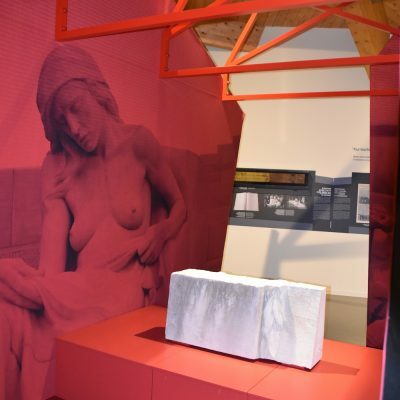 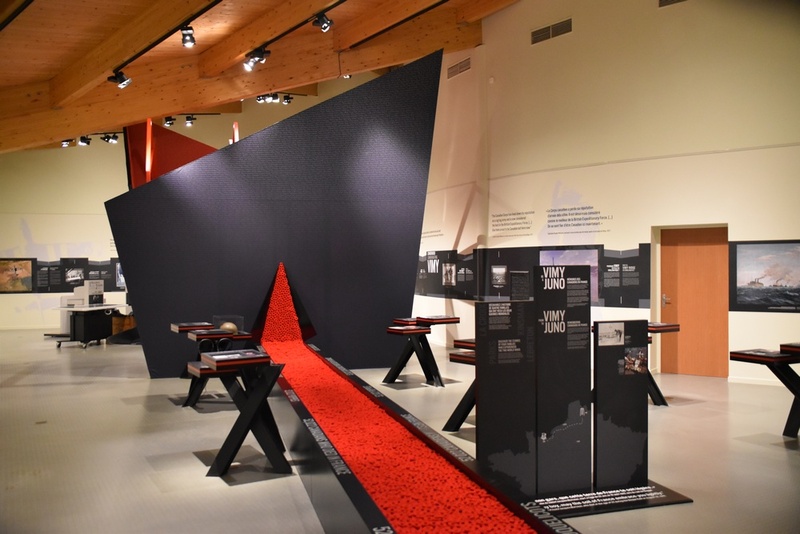 PNH Solutions completed the print and hardware of the main scenic element that was part of the new temporary exhibit at the Juno Beach Center, in Courceulles-sur-Mer, in France. 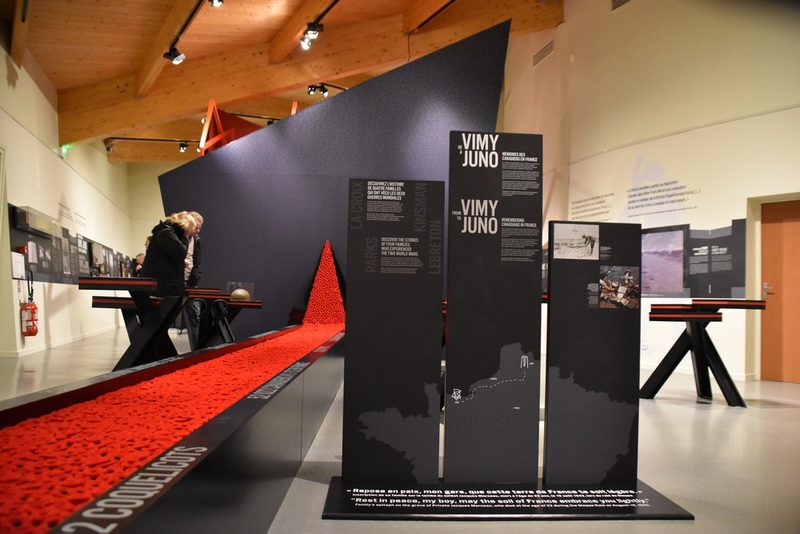 Entitled ‘From Vimy to Juno: Remembering Canadians in France,’ the exhibit retraces the contribution of Canadian soldiers in France during both world wars and how their memory has been honoured since 1914. 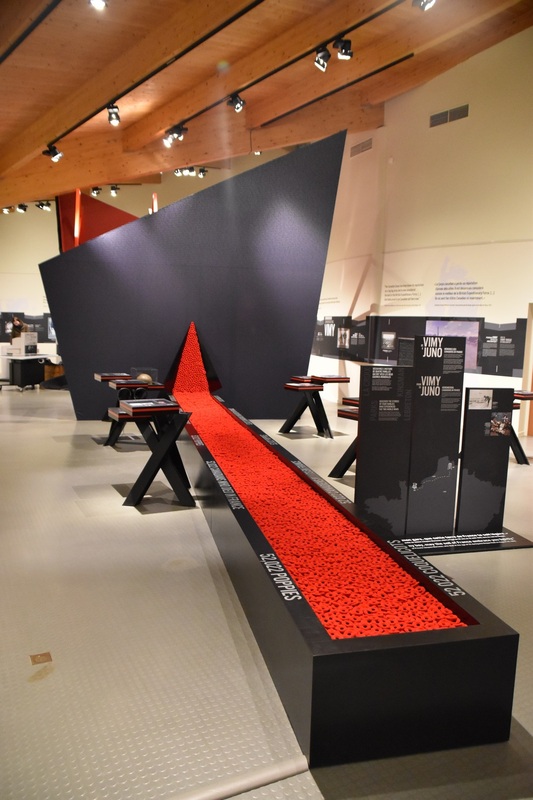 The main scenic element in itself is a monument that honors the 52 022 Canadian soldiers that passed away and that were buried in France during both those conflicts. 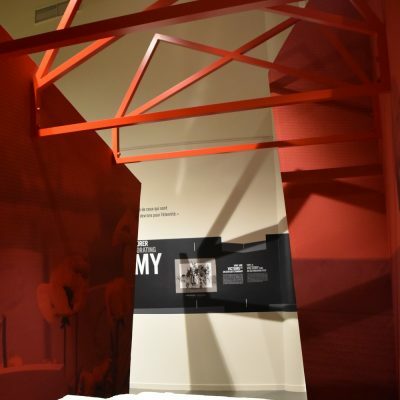 PNH Solutions was mandated to develop both the structural design and the manufacturing process and to manage all aspects of production of the main scenic element. 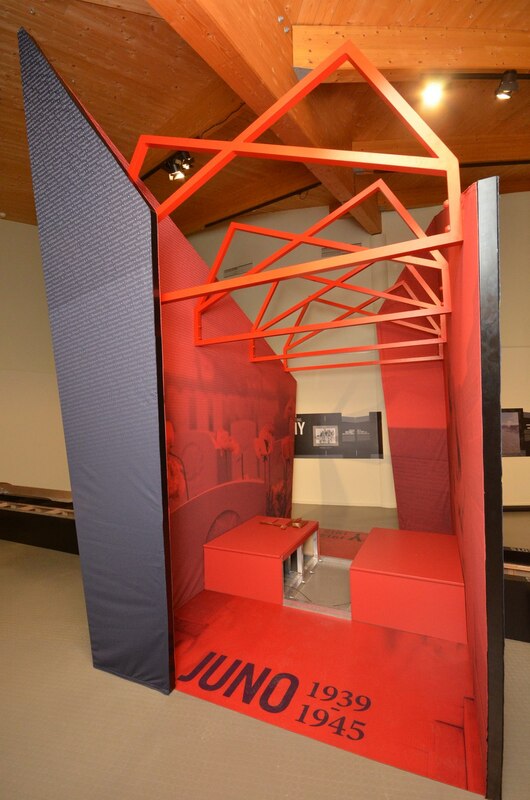 As it had to be shipped abroad by a maritime container, PNH Solutions improved its original design, so that it could be installed easily. 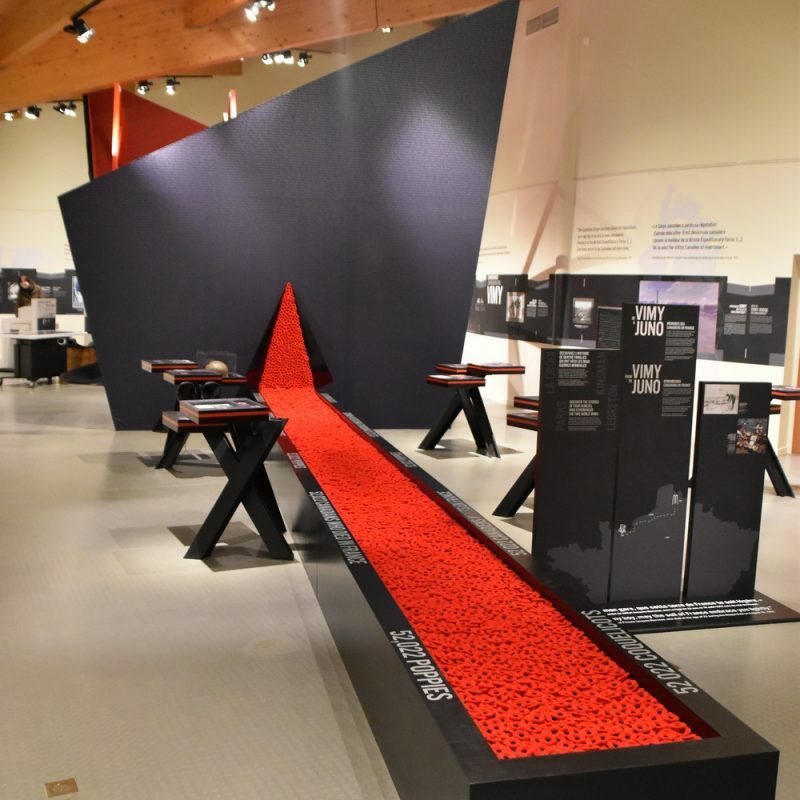 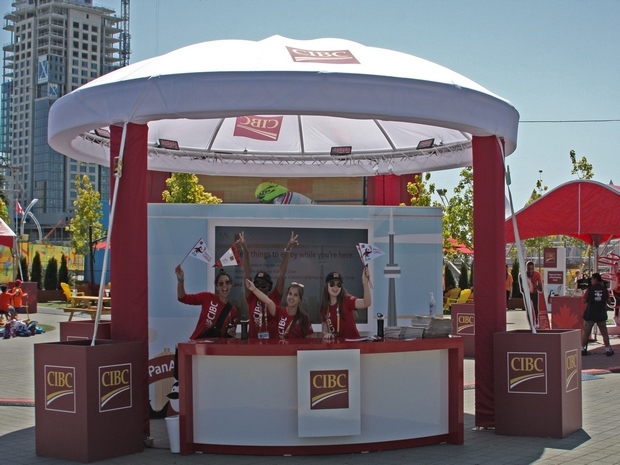 Made of square stainless steel sections and covered with printed dye sublimated tension fabric, the piece, measuring 16′ long x 16′ high x 8′ wide, was built, printed, preassembled and dismantled in PNH Solutions’ warehouse in Montreal. 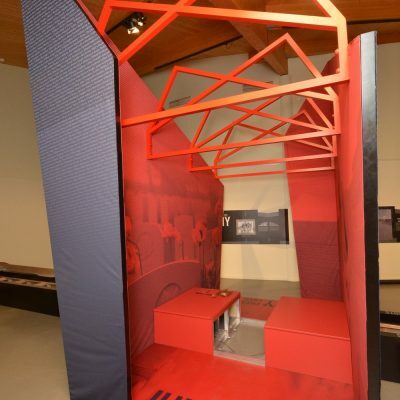 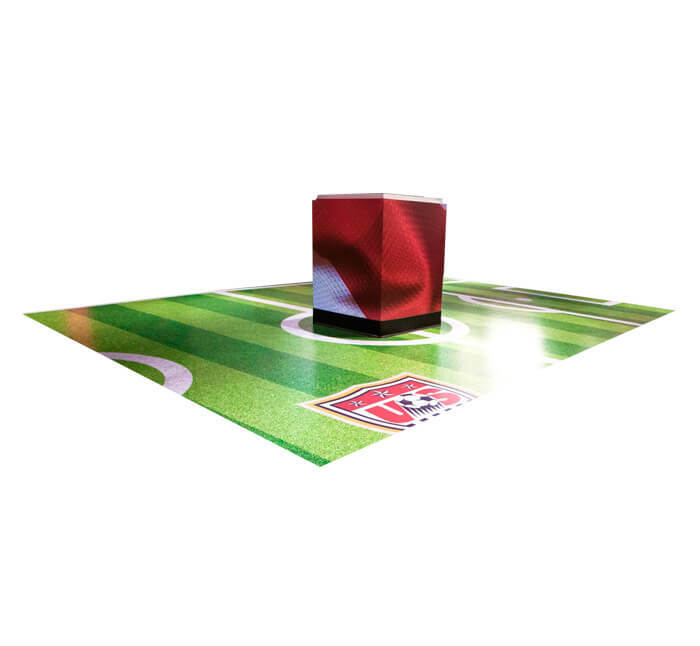 Once it arrived in France, the structure was unpackaged and installed both easily and quickly. 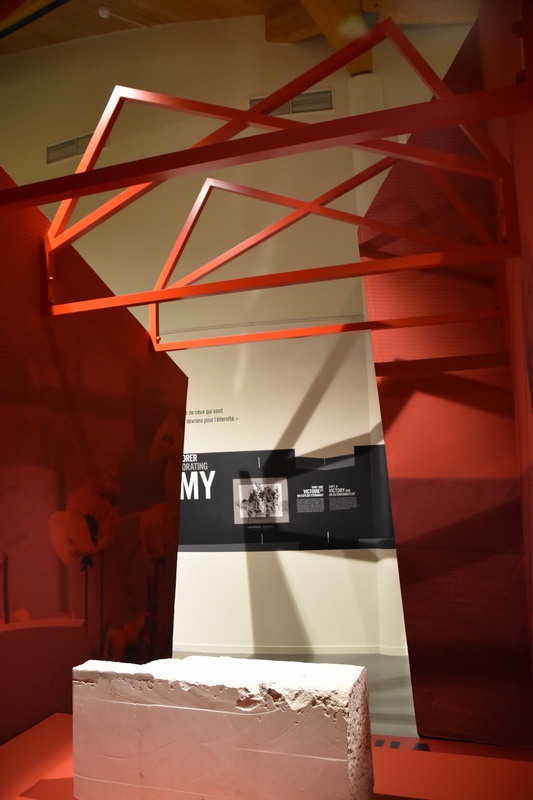 With its complex and original form, the piece played an important role in captivating and informing the public on the role of the Canadians soldiers in both world wars and how their memory has been honored in France.